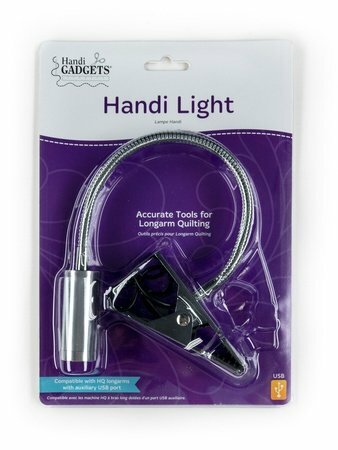 The Handi Light LED is a bright 3W LED lamp that directs additional usable light onto your quilting area. It plugs into the USB port on your machine’s handlebar. The easy clamp mounts to various locations on the machine. Its flexible neck focuses the light to precisely where more lighting is needed.